It can be so wonderful to donate your crochet to others through charities or individual donations. This allows you to create many, many beautiful things without facing that question of where to store them or what to do with them all. Crochet is a way that you can give back to the world around you, connecting you to others and allowing you to support causes that you care about even if you have very little to give monetarily. Here is a list of some of the organizations that accept crochet donations. Please note that the needs of charities change frequently so it is very important to check the websites or contact the coordinator of the program you’re interested in to confirm that they still need donations and what they are currently accepting. 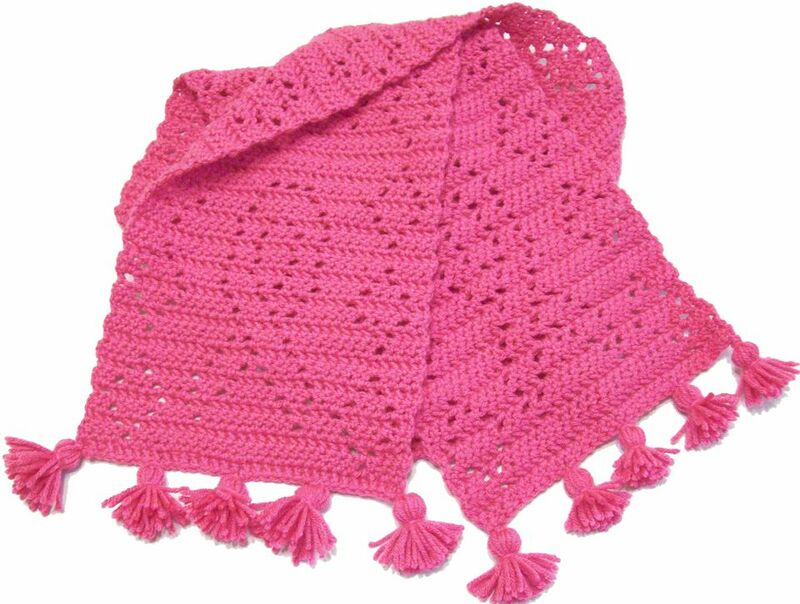 People who enjoy making items for babies, especially crochet baby blankets, will find that there are many different places that accept these types of donations. Here are four different popular organizations that regularly accept crochet donations. In addition to crochet baby blankets, you'll see that these organizations accept a range of items for young ones including crochet hats and stuffed animals. Note: The photo that accompanies this article is a free crochet scarf pattern for breast cancer awareness. Two-legged folks aren't the only ones who benefit from crochet. Donate crochet to keep shelter animals cozy, too. We’d also like to remind you that you probably have many opportunities to donate your crochet locally to the people right in your own community. You can contact local shelters, community centers, clinics, hospitals, churches, libraries and many other organizations to connect with people and find folks in need.